Alpha & Omega's Dubplate Selection Volume 1 first appeared on A&O Records in 1997. This is vintage killer addictive electronic reggae and dub selection by UK pioneers Alpha & Omega, a heavyweight vintage UK dub sound-system classic! LP version. 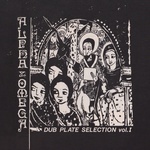 Alpha & Omega's Dubplate Selection Volume 1 first appeared on A&O Records in 1997. This is vintage killer addictive electronic reggae and dub selection by UK pioneers Alpha & Omega, a heavyweight vintage UK dub sound-system classic! 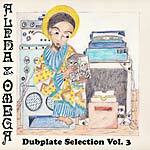 Alpha & Omega's Dubplate Selection Volume 2 first appeared on A&O Records in 1997. This is vintage killer addictive electronic reggae and dub selection by UK pioneers Alpha & Omega, a heavyweight vintage UK dub sound-system classic! LP version. 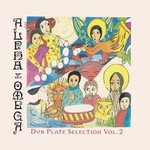 Alpha & Omega's Dubplate Selection Volume 2 first appeared on A&O Records in 1997. This is vintage killer addictive electronic reggae and dub selection by UK pioneers Alpha & Omega, a heavyweight vintage UK dub sound-system classic! Music Mania and Indica Dubs presents the next release in their Mania Dub series. 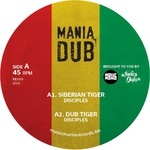 Following multiple classic re-issues, Mania Dub now bring you a long awaited freshly produced album by UK dub innovators Alpha & Omega, Dubplate Selection Vol. 3. As the duo explains, "We have always done alternative mixes for sound systems. We had enough good ones to make an album so that's why we released Dubplate Selection Vol. 1 (1995). As we released more albums we had more dubplates to release. We've had a long gap but after our recent releases we felt it was about time for Dubplate Selection Vol. 3. It includes mixes from the last three albums". UK dub pioneers since 1990, Alpha & Omega have worked with the likes of Greensleeves, Lee 'Scratch' Perry, Jah Shaka, and Gregory Isaacs. Alpha & Omega are a roots dub duo that mix both analog and digital elements, comprising Christine Woodbridge and John Sprosen, both of whom had played in reggae bands previously, Sprosen also having worked with the Roaring Lion Sound System. They began working together in the mid-1980s, splitting their time between their home towns of London and Plymouth, and issued their debut home-recorded cassette in 1988. They were picked up by Greensleeves Records, who acted as a parent company to the duo's A&O label, and also worked with Jah Shaka, for whom they supplied rhythm tracks. Although they are strongly influenced by artists such as Perry, King Tubby, and Augustus Pablo, they have developed a sound that has been described as "uniquely British". 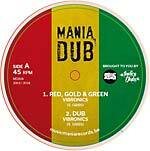 Music Mania and Indica Dubs is proud to present the third release in their Mania Dub series. Following the classic Almighty Dub (MANIADUB 001EP) and Rastafari comes another of the UK Dub scene's most renowned producers; The Bush Chemists, with one of their most popular anthems from 1996: Light Up Your Spliff. Douglas Wardrop began creating music using a 4-track recorded in 1989, before forming The Bush Chemists in 1993 with Paul Davey and Culture Freeman. "The idea for it came from me getting a sampler and trying to sample a documentary where the guy in the document was DJing/chanting 'light up ya spliff light up ya chalice' but it couldn't fit so I got Freeman to do it." The title track "Light Up Your Spliff" has broken into the commercial world and has been used by many leading companies for their commercials, most recently by Supreme, known worldwide known for skating and clothing. The rest of the LP consists of vocal tracks followed by instrumental tracks, these are the leading tracks which shaped the UK dub scene into what it is today. The master tracks have been provided by Douglas Wardrop to endure the original sound. Beware: loaded with heavyweight roaring basslines, unstoppable echoes, mystical reverbs, and phasers. All special dub effects that will make you get up and dance. Music Mania and Indica Dubs present the next release in their Mania Dub series. Following the classic Almighty Dub (MANIADUB 001EP), comes another of the UK dub scene's most renowned producers: Alpha & Omega, with one of their most popular "Shaka Killer" classics from 1996: Rastafari. The tracks have been remastered to sound to their full potential! Beware: loaded with heavyweight roaring basslines, unstoppable echoes, mystical reverbs, and phasers. All special dub effects that will make you get up and dance. Music Mania and Indica Dubs present their first joint-release in their Mania Dub series. 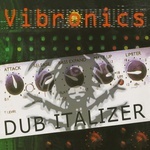 Produced in 1988 by The Disciples, "Almighty Dub" is one of the most distinctive instrumental dubs produced in that era. "Zion Rock Dub" was recorded around the same time and with fairly much the same equipment with the exception of a new keyboard which had an inbuilt sequencer with flute synth sounds.